The recent rise of the New Atheism has aroused great general interest, thrown up questions of fundamental importance, and started a fascinating conversation. Why God Won't Go Away invites us to join in. The result is a lively and highly thought-provoking volume that poses a number of interesting questions. Why is religion experiencing a resurgence in the twenty-first century, when we are meant to have grown out of such a primitive fixation? Has the New Atheism's fascination with rationality led to a fatal underestimation of the longing of the human heart to adore? And if, as Christopher Hitchens writes in exasperation, religion is 'ineradicable', doesn't this tiresome fact suggest that dismissing belief in God as irrational and unscientific might just be a waste of time? 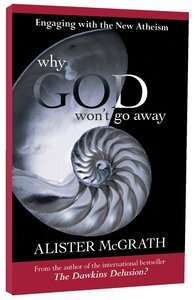 About "Why God Won't Go Away: Engaging With the New Atheism"
The rise of the New Atheism has aroused great general interest and the author explores beyond the rebuttal of this critique of Christianity to examine how the ideas are defended and propagated through web sites and blogs.